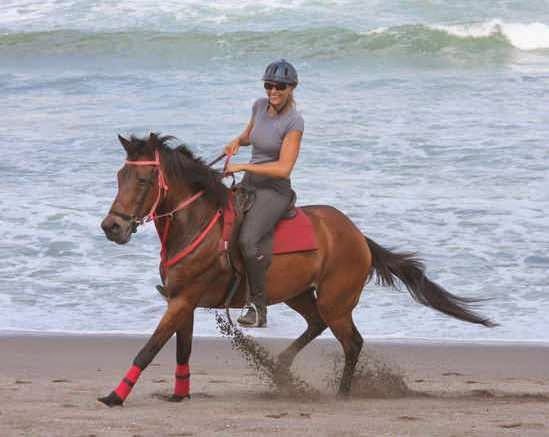 Bali Safari and Marine Park relives the legends of human and animal in a vast, breathtaking setting of 40 hectares of splendid natural habitat. It offers many sensational highlights, from the traditional Balinese’s self purifying sacred bath, to the story of men-eating Lion in Tsavo of Kenya and the majestic White Tiger of India, Bali Safari and Marine Park invites you to discover this unique journey of human-animal legends. 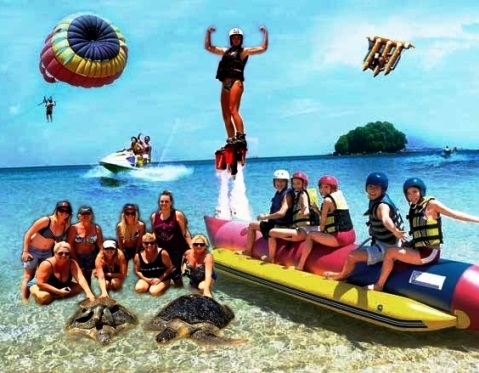 Bali Safari and Marine Park is the latest establishment of the world-renowned Taman Safari Indonesia, a name made famous for more than 20 years of efforts in nature conservation and recreational business. It applies the state of the art zoo innovation to provide close encounters and educational activities for all visitors. 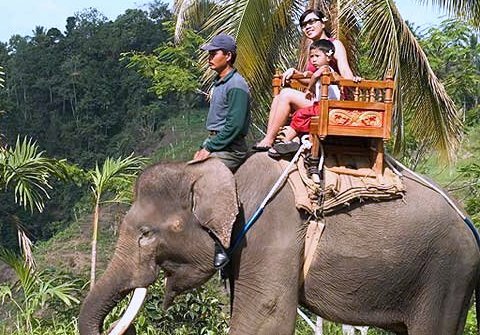 Bali Safari and Marine Park is tremendously active in protecting endemic and endangered species, as well as orchestrating educational campaign to save the animals. 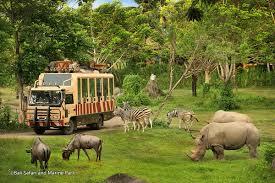 What to do at Bali Safari and Marine Park? Safari Journey: Welcome to the incredible adventure into a wildlife world. Safari Journey incorporates the latest development in safari and open-zoo design, offering visitors a close encounter into the world of animals around the world. From the ride through roaming Sumatran Tiger and Elephants in the jungle of Sumatra to the hippos and cheetah in the lake Manyara, the Safari Journey offers a unique safari adventure to explore the life of hundreds of animals of more than 60 species. Jump in to our Tram to take a journey into the nature and see our wild animals roaming around the jungle and savannah. The jungle adventure await! Entertainment: Get your pace ready on the entrance gate to a magnificent journey of the greatest Balinese culture, the Lobby Barong. The rhythm of bamboo music, some dance and the Barong Dance tells a legendary story of Calonarang, a white wizard, turned into a mystical creature to fight an endless battle against Rangda the dark forces that threaten mankind. 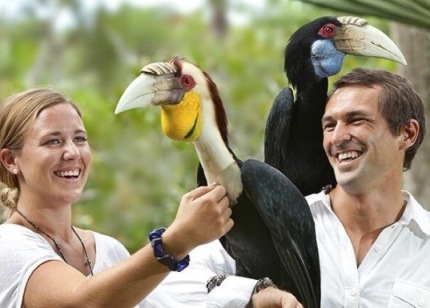 Animal Shows: Animal show will tell various animals’ behaviors in Bali Safari & Marine Park. Some of them are intelligent animals that can be friend with human being like Elephant, Orang Utan, Cockatoo and Poodles until predator animals like Eagles. 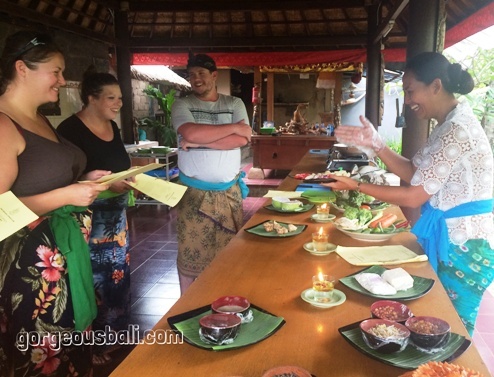 Food and beverages: Taste the Balinese heritage traditional recipe! The main restaurant with a seating capacity for 800 guests, Uma (means Paddy-field) Restaurant is an All-day Dining with a village theme serving International, Asian, and local specialties prepared freshly from our open-concept counters. And An unforgettable dining experience. Bali Safari & Marine Park – Tsavo Lions Restaurant relives the legendary pair of Tsavo Lions that become famous by killing and eating more than one hundred railway workers on the Kenya – Uganda Railway in 1898. Enjoy world-class cuisine recipes in a breathtaking ambiance of through-the-glass lair of our Tsavo Lions. Hotels: Close the day and spend the night to revitalize those tired feet in this four-star luxurious African treetop lodges and accommodation. Located near Lebih Beach. Mara River Safari Lodge offers tranquility with the beautiful view of Mount Agung and the Bali eastern coast. Peek through your window or relax to the African savannah where Chapman Zebras, Oryxes, Wildebeest, & White Rhinos are roaming freely below while enjoying the stunning Balinese sunset. 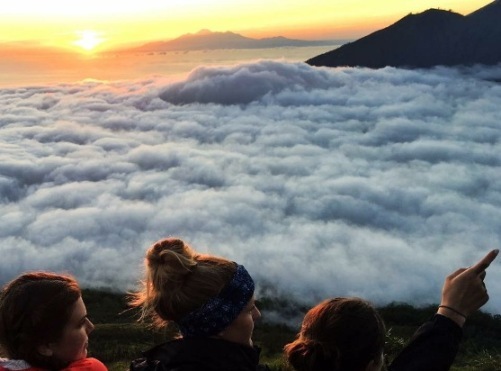 Bali Safari and Marine Park is a tourism destination that is worth to be visited during your holiday in Bali, please contact us or join our gorgeous Bali Safari and Ubud Tour, have a nice holiday….